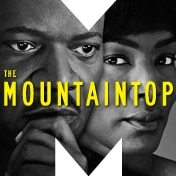 Taking place on April 3, 1968, The Mountaintop is a gripping reimagining of events the night before the assassination of civil rights leader Dr. Martin Luther King, Jr. After delivering one of his most memorable speeches, an exhausted Dr. King (Samuel L. Jackson) retires to his room at the Lorraine Motel in Memphis while a storm rages outside. When a mysterious stranger (Angela Bassett) arrives with some surprising news, King is forced to confront his destiny and his legacy to his people. A bridge to Russia has just been completed, with the translation and presentation of Katori Hall’s Mountaintop in Moscow, thanks to the Lark Development Play Center.